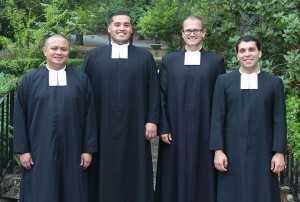 Four Brothers from the Lasallian Region of North America (RELAN) have begun their novitiate year. Brothers David Deradoorian (DENA), Anthony Elfering (Midwest), Patrick Martin (San Francisco), and Roberto Martinez (San Francisco) were welcomed into the novitiate during a gathering with the local Brothers’ communities August 11, 2013 in Napa, CA. New to this year’s program is independent study which gives the novices the opportunity to pursue an area of interest for which they might not otherwise have had time. 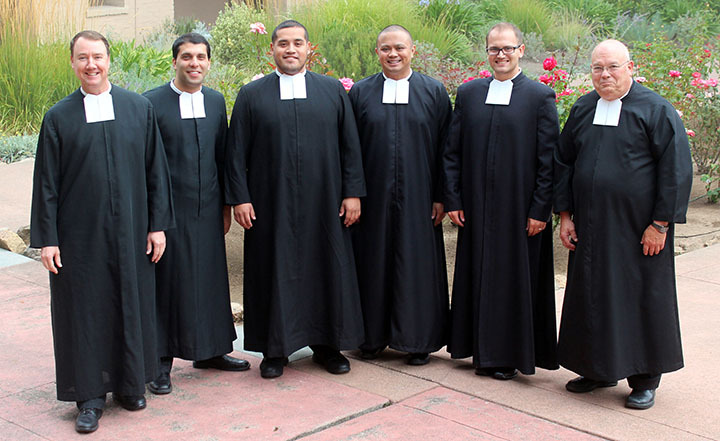 In the area of apostolic work, the novices will serve at Justin-Siena High School in Napa to engage with Lasallian students and serve as witnesses to the Brothers’ vocation. The opportunity to be vocational ambassadors will occur again at the March 2014 Religious Education Congress in Anaheim, CA, an international gathering of speakers, teachers, and students from throughout the world. 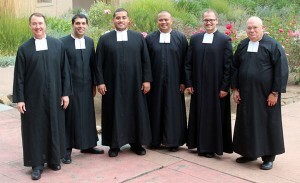 The novices will be at the De La Salle Christian Brothers booth explaining the work of the Brothers.